Whether you prefer to dictate via your mobile device, telephone or by some other method, Athreon has a variety of dictation options to support the way you work. We know it’s unlikely that dictation is your favorite pastime. So, to make your dictation as quick and productive as possible, we offer you several convenient options to choose from. We invite you to explore our dictation options below. Select any combination of methods that work best for you. Busy professionals increasingly rely on smartphones and tablets to get more done. With our free iOS and Android apps, you can use your mobile device to dictate. Have privacy concerns about dictating by smartphone? Not to worry. With our apps, every smartphone transaction is encrypted to comply with HIPAA/HITECH guidelines. Click here to learn more about dictation using our smartphone apps. Most people are never too far from a phone. 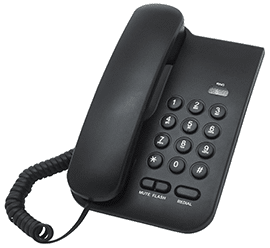 The telephone’s convenient and, since there is no additional dictation equipment to purchase, it can be the ideal speech to text tool. Phone dictation gives you the same options as other recording devices such as fast forward, pause, and rewind. Simply pick up the phone, dictate your information, and our transcriptionists handle the rest! 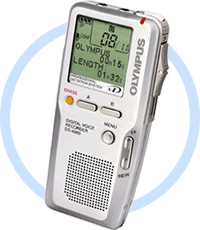 If you prefer to dictate via a digital recorder, we support that recording method as well. With our open standards dictation technology, available device options include Olympus, Sanyo, Grundig and Philips. We support nearly any device that is equipped with software to copy audio files to a computer. Compatible audio file formats for our dictation services include: .WAV, .DSS, .VOX, .MP3, .RAW, .G726, .OGG, .G721, .AVI, .MP2, .WMA, .DPF. 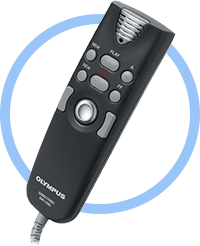 If your computer is equipped with a Philips, Dictaphone, Olympus or Grundig microphone, you can use it to dictate directly into the Athreon system. 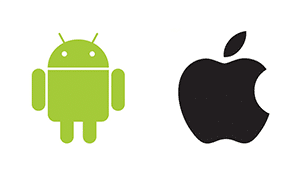 These brands are also compatible with our speech recognition technology. When dictating by microphone, you won’t have to worry about tying up a phone line or even leaving your desk. We understand some institutions have invested in their own dictation technology and wish to preserve that investment. Athreon can work with your existing dictation system if you wish to host your own technology. 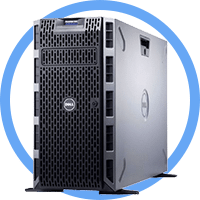 Our interfacing team can develop an interface between your system and our dictation servers. In some workflow scenarios, we may even be able to securely link our production staff directly to your system.